Please get in touch for our free, no-obligation kill dust mite evaluation and estimate. 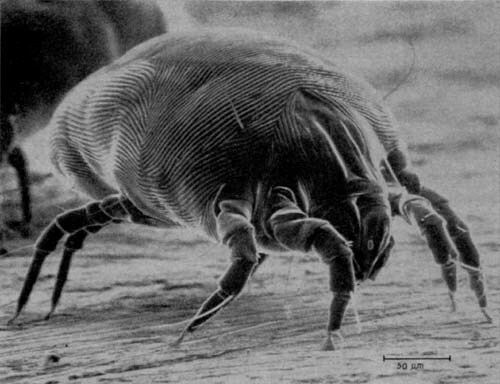 The house dust mite (Dermatophagoides pteronyssinus in Europe and Dermatophagoides farinae in North America), sometimes abbreviated by allergists to HDM, is a cosmopolitan guest in human habitation. They are considered to be one of the most common causes of asthma worldwide. You can kill dust mites but it is almost impossible to kill ALL dust mites. Though these methods can help to reduce the level of house dust mites, attempts to kill dust mites in the home completely have yet to be successful. Immunotherapy or "allergy shots" have been helpful for sufferers of hay fever and asthma. Dust Mites Allergies Information "The fact is dust mites are not dangerous to anyone, however, if one does experience allergic reactions, they will often experience itching, sneezing, and water eyes or in more severe cases, asthma attacks. Many individuals who have indoor-allergies are actually allergic to the waste from dust mites. If you notice these symptoms, you will want to talk to your doctor or allergist." Dust Mite Additional information on the Dust Mite. If you have any questions about killing dust mites or need help, please book our free, no-obligation evaluation now or get in touch with Paul White at Fabritec - click here for contact details.